Print any kind of single-sided badges! 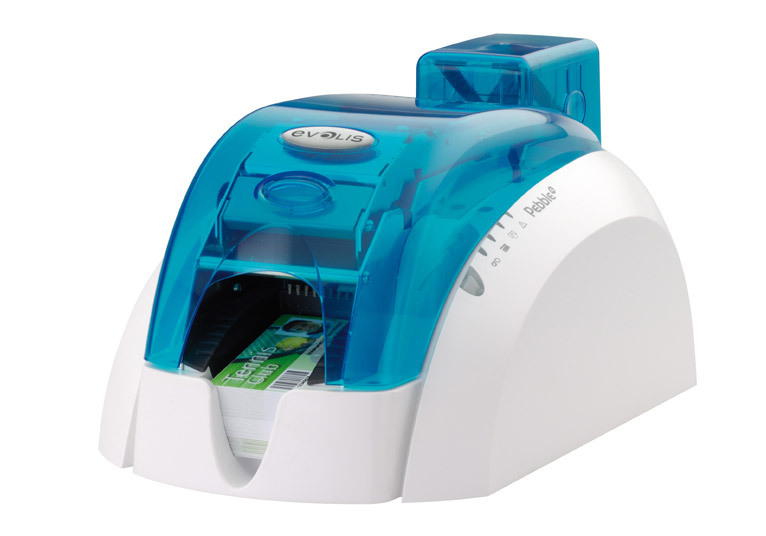 Pebble 4 card printer is the ideal solution to print your badges on demand or in volume. 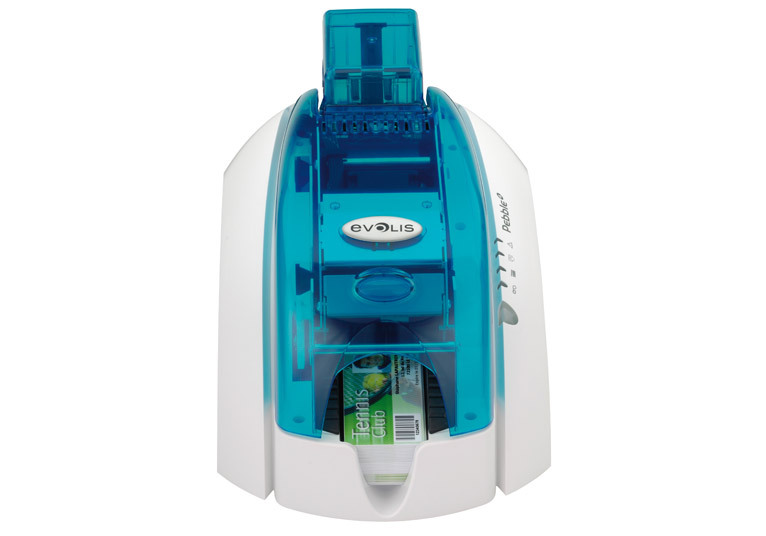 The Pebble 4 card printer gives you the ability to print color badges with photo resolution. 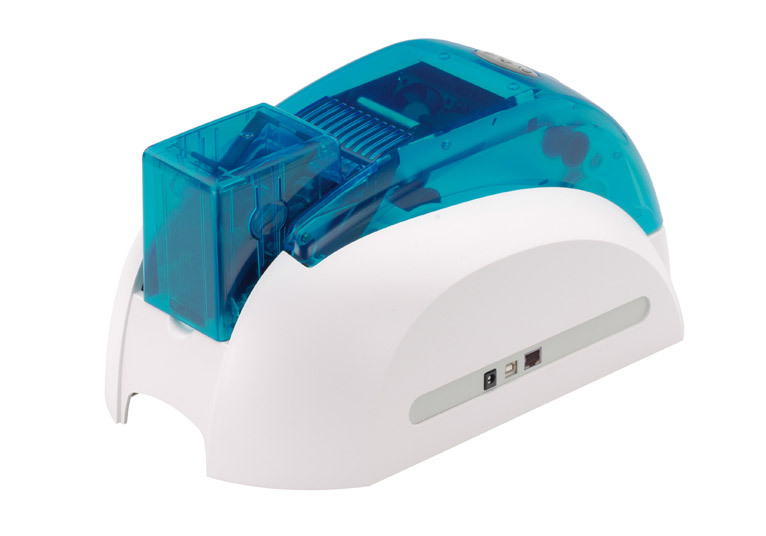 Evolis has designed this Pebble 4 printer for outstanding graphics and image definition. Print easily & in a jiffy! Pebble 4 is delivered with a USB cable and can be installed in a few minutes.The Windows & Mac drivers as well as the setup process have been totally reshaped to improve the user interface. The eMedia Card Designer software for Windows, is delivered as standard. From the very first time you use Pebble 4, you can personalize and print badges in a jiffy. Encode the way you want! Advanced encoding technologies can be combined in your Pebble 4 printer. 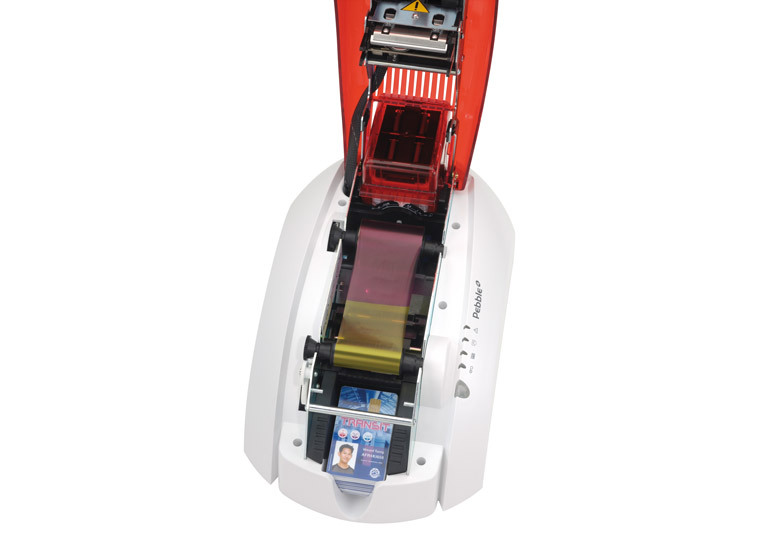 Magnetic Stripe encoder, Smart contact station encoding unit and Contactless encoding unit, all of these features can be seamlessly combined, while the Mag encoding option is so flexible it can even be deployed on-site. At Barcode Systems our staff is available to answer your questions and to help you obtain an optimun solution for your particular need. copyright ©2012 Barcode Systems, Inc. All rights reserved.